Elizabeth Musmanno, the woman whose work at Dior Couture and Vera Wang has redefined the global fashion world will visit the capital of Macedonia in April. 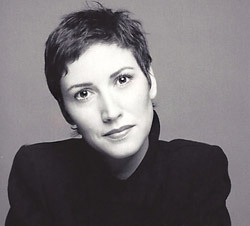 Elizabeth was Head of Worldwide Marketing and Communications and a member of the executive committee. She created global marketing campaigns, press strategies and advertising initiatives for all markets. At Vera Wang, Elizabeth was the senior vice president of global communications and marketing and a member of the executive committee. In Macedonia Elizabeth will give an exclusive Masterclass on how to make it in the global fashion world. "Not many people have the privilege to meet a powerhouse like Elizabeth Musmanno. My advice to everyone is use this once in a life time opportunity to learn from someone that is changing the global marketing reality on daily basis. Take a day off from your office and come back with a global vision and take your company and brand to a completely new level" says Kosta Petrov, the Chief Experience Officer of P, the company organising this exclusive gathering.